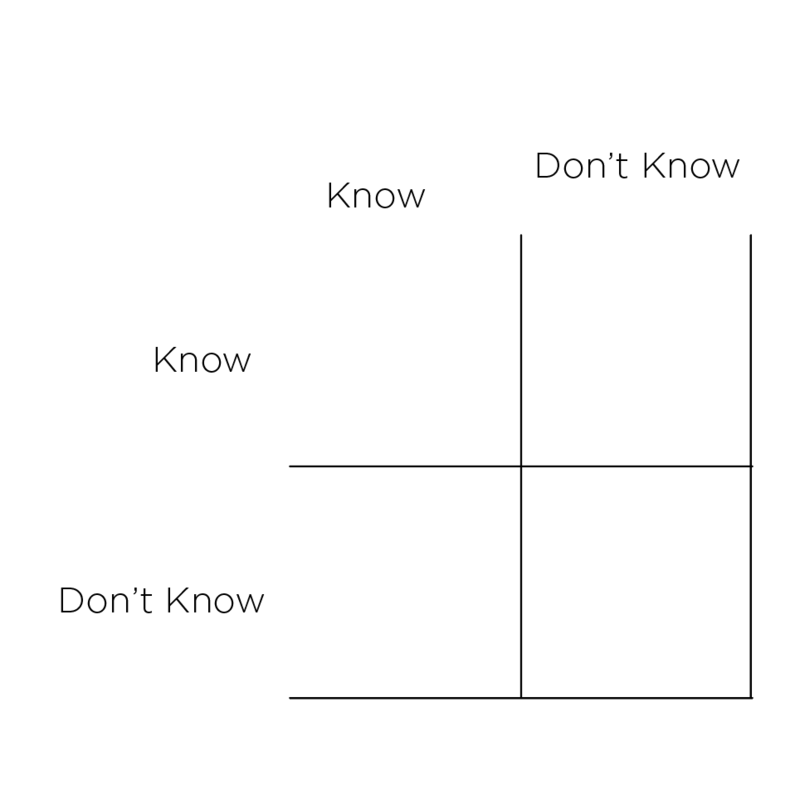 There are four quadrants of “knowing”. You don’t know what you do know. The last two are the most dangerous and you are completely unaware of them. Sometimes we learn after the fact, but at most times, we miss things as though they never existed. This is another reason we need each other to show precisely what we are unaware of. To be aware is to be alert, to be conscious and be perceptive. Each of us are given a basic grid of understanding. As time goes on, our grid of understanding changes—not because the grid itself changes, because the viewpoint from where we are observing changes.